The University of Iowa Dance Marathon (UIDM) celebrated their 24th Big Event on February 2 – 3, 2018. This year they registered more dancers than ever before and capped off their year-long efforts by revealing a total of $3,011,015.24. However, as their business director Dylan Ritchie stated in his closing remarks, the organization is not and never will be defined by the amount of money they raise each year. Instead, these students measure success in what they’re able to provide to the patients and families treated at University of Iowa Stead Family Children’s Hospital. UIDM earmarks their funds to provide emotional and financial support and services to pediatric oncology and bone marrow transplant patients and their families treated at University of Iowa Stead Family Children’s Hospital. 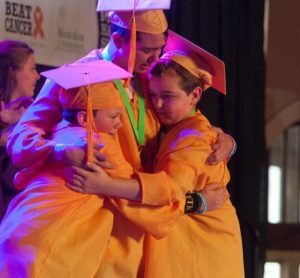 At the Big Event, the organization honors patients who are successfully five years post treatment with a graduation ceremony. These patients are deemed to be cured and cancer-free. A graduation ceremony is held in their honor on the main-stage to commemorate this tremendous feat. All of the graduates are remarkable. They’ve faced the odds and won. They live their lives to honor their friends who may still be battling, or have lost their battles, with cancer. All of them are truly a force to be reckoned with. And one graduate this year is wasting no time making the most of his future. 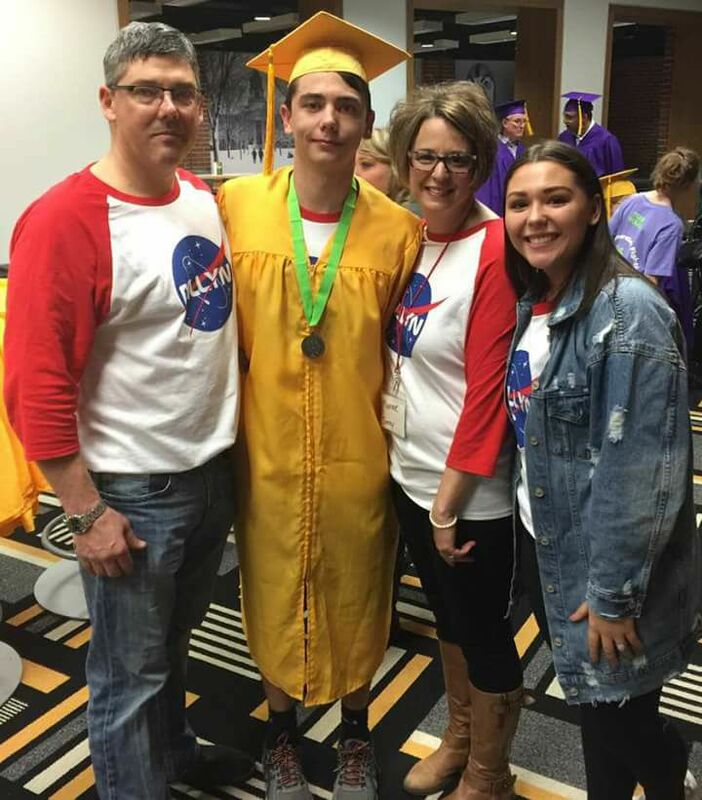 After facing his diagnosis and enduring his battle with cancer, Dillyn Mumme became a student at Iowa State University, where he has been able to give back to the children’s hospital where he received treatment as an active participant at Iowa State University Dance Marathon. He also recently announced that he’ll be able to pursue a lifelong dream through earning an internship opportunity with NASA. During his time at NASA, Dillyn will work in the Flight Operations Directorate, specifically in the Flight Planning and Procedures Group. His role will revolve around procedures and procedural tools for the International Space Station and Commercial Crew program. 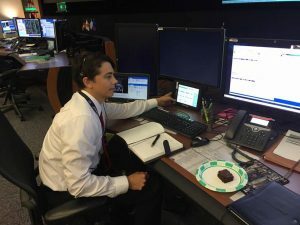 The Flight Operations Directorate motto is “Failure is Not an Option”, a mindset Dillyn has embraced throughout his life and journey with cancer. Dillyn credits his ability to dream big and literally shoot for the stars back to those who participate in Dance Marathon. As he spoke to student participants at UIDM’s Big Event, he shared his thoughts about the difference between failing and failure. While he may have experiences failing throughout his life, Dillyn certainly will never be a failure. In his own words, Dillyn describes how we all fail on the way to success and failure only comes if you give up. We have seen failure before in our lives, but to learn and grow from it is to truly overcome. The students who run Dance Marathons nation-wide set out each and every year to go above and beyond for patients and families treated at their local children’s hospital. But they never lose sight of what’s important. Everything they do is truly For The Kids, with the hope they can help more pediatric patients like Dillyn accomplish their dreams.